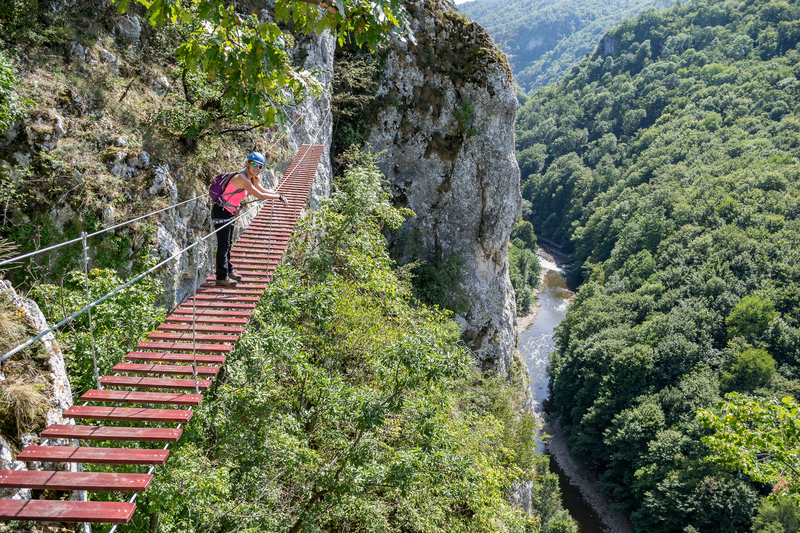 The “Casa Zmeului” via ferrata route was opened in July 2017 near Vadu Crisului, Crisul Repede defile/gorge, in Padurea Craiului Mountains, a subunit of the Apuseni Mountains. 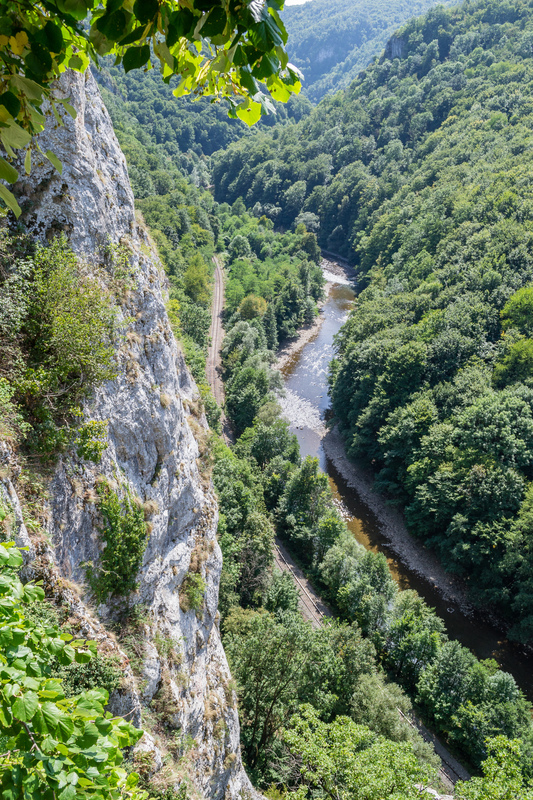 The route was built by Salvamont Salvaspeo Bihor, the Romanian mountain rescue unit from Bihor county, with help from CASSIO Montana Bihor club. On the map above, „P” is parking, the red flags mark the start and end of via ferrata, orange route is for access and green route for the return trail. Access: You start near the sports field in Vadu Crisului village (GPS: 46°58’33.2″N 22°30’27.5″E or 46.975900,22.507648). The shortest route is by following a narrow track alongside the railroad, which crosses the defile. 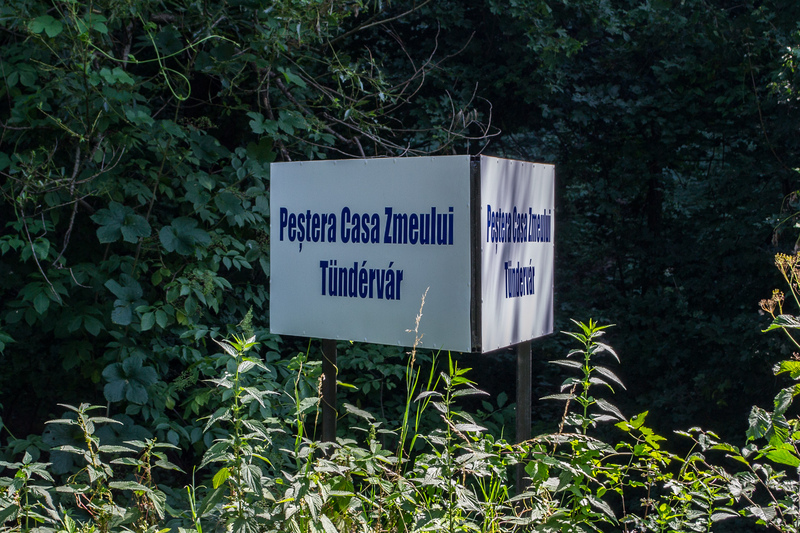 You’ll reach a sign saying „Pestera Casa Zmeului”, which means „Dragon’s House Cave”, more or less. 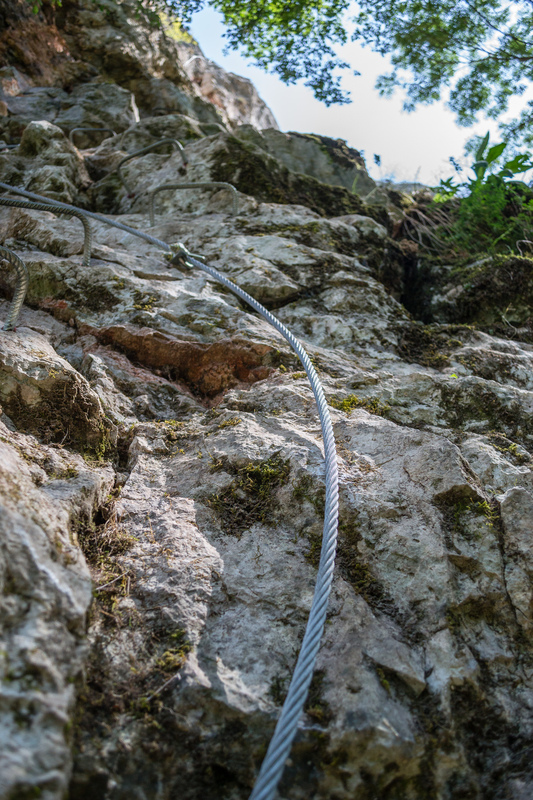 Make a left here towards the base of the stone wall and you’ll see the via ferrata cable after just a few meters. 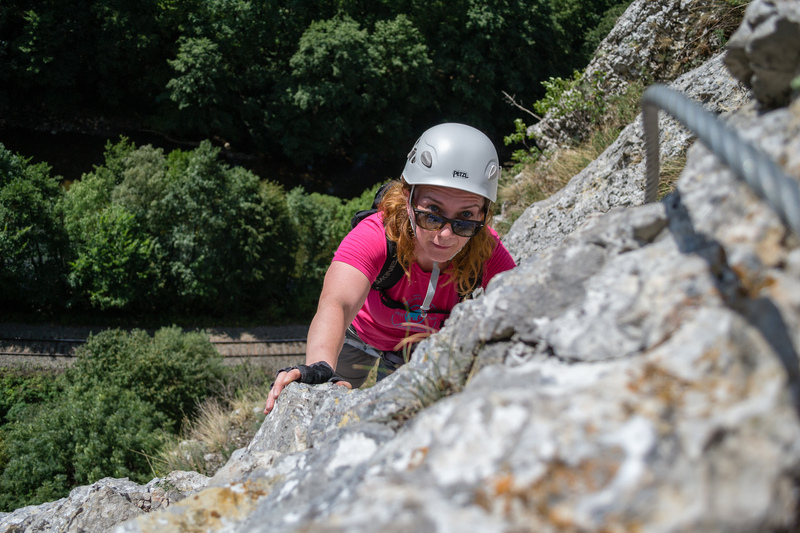 Length of via ferrata route: 215m. 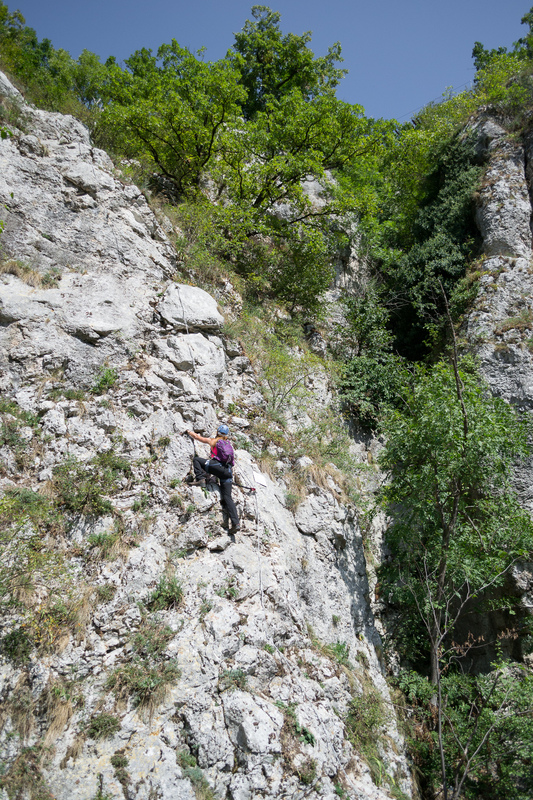 Vertical climb: 140-150m. Difficulty: C (medium). Grades are from A (very easy) to E (extreme). 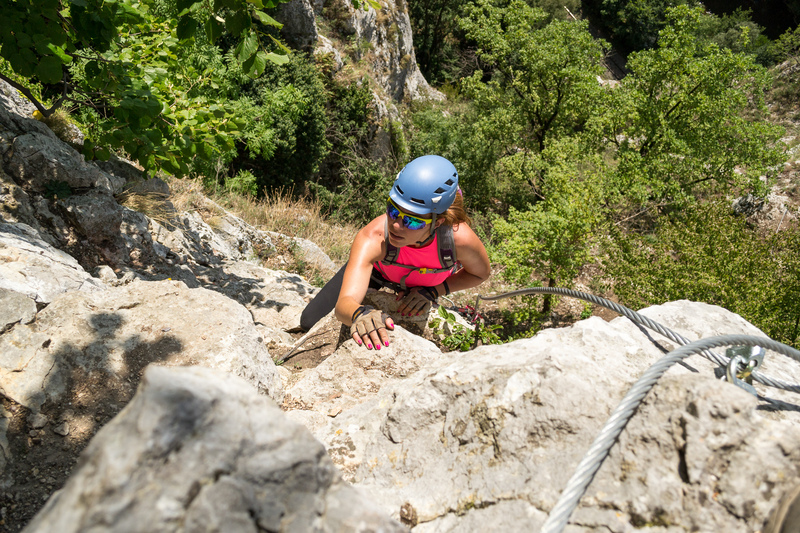 This route has more vertical sections than the other via ferrata routes in Bihor („Mocanita” in Vadu Crisului and Pietrele Negre, Vartop) and it offers good views over „Vama Sarii”, another landmark you go past on your way up. The upper section contains a 25m long bridge. 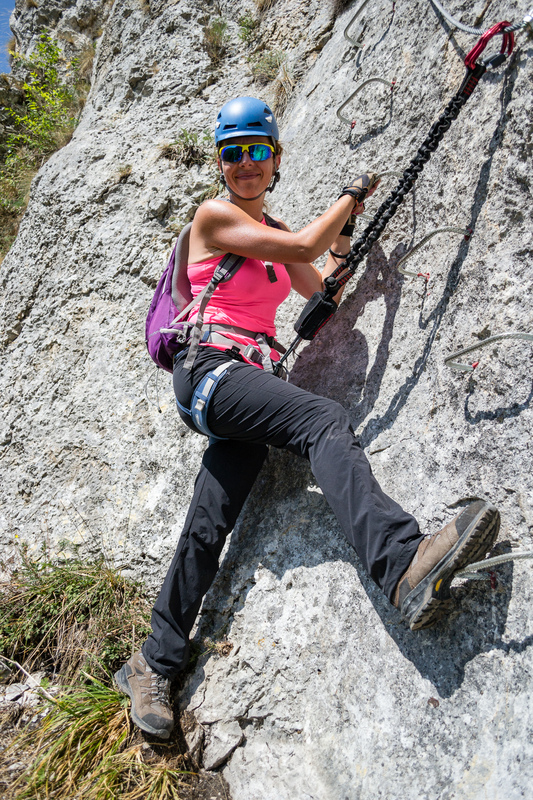 Duration for the via ferrata route: 1h – 2h30 min. Follow the hiking route marked with a blue circle, to the left. It will end close to the sports field where you parked. 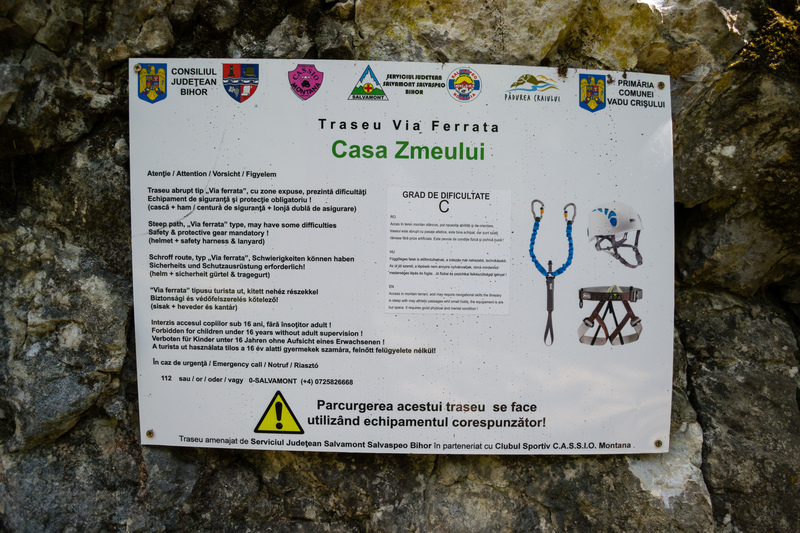 Follow the hiking route marked with a blue circle, to the right, to Vadu Crisului Cave and visit this interesting cave. You can then return to your car. Wheater: Meteoblue Vadu Crisului, Viewweather Vadu Crisului. Emergency calls: +40.SALVAMONT, which is actually +40.725.826.668, or 112, the European all around emergency number. GPS coordinates for localization: 46°58’16.4″N 22°30’48.8″E.